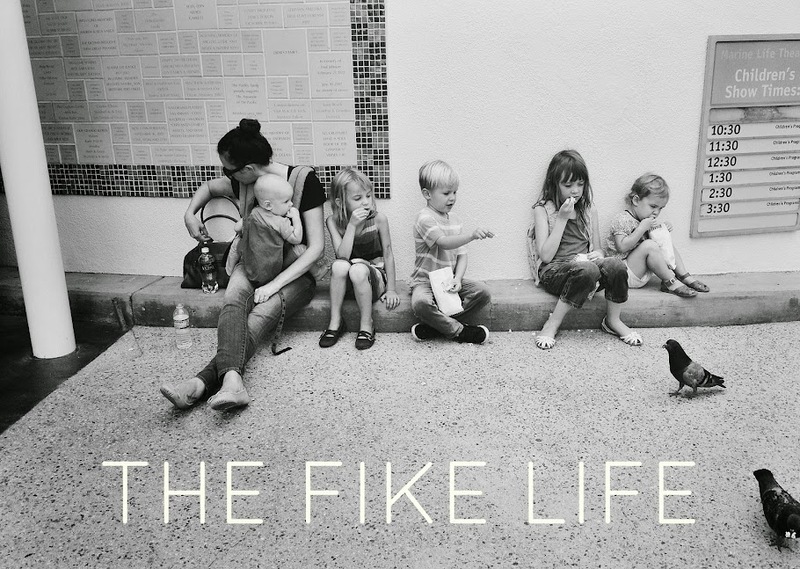 The Fike Life: Answer me this and some inspiration. Answer me this and some inspiration. I'm joining Kendra's link-up today but due to the Mondayness that Monday often brings (behindness, short-on-timeness and general catchupiness), I thought I would try and answer all the questions with old Instagram pictures. How's that for lazy? Are they broken sprinkler lines? Yes. They didn't even have Instagram then! What kind of question is this?? Here is a substitute photo for no reason (other than to remind you of what an incredible and inspiring homeschooling mother I am). With kids? Almost zero. Unless there is no restaurant for us to destroy and miles of sand where children can run freely in many directions. With no kids? A much as humanly possible (whilst on a budget). Are we Instagram friends? We should be. Come and find me if you like pictures of Kirby doing things, my children doing things (with sometimes clothing and sometimes not clothing... no shame in my game), babies, and delicious cocktails. Last week Johnny got soap in his eyes and came out of the tub really upset about it. I asked him what kind of soap he got in his eyes (mostly wanting to know if he had gotten into my shampoo or not). Johnny: "Air conditioner." --------- "It really spiced my eyes." Last night Mary stopped me and said, "I'm really thankful for the freedom I have in our family, mom." To which I replied with choking up and not knowing how in the world to respond to that. I finally asked what she had been thinking about and she looked off into the distance and said (in a teary almost-whisper)- "I'm just thinking about my life." Love the last bonus quotes! Too cute! I cannot stop laughing. They tv-watching picture is hilarious! And your kids' quotes...priceless. Thanks for the day maker! Can you please send Mary to me for awhile? Please and thank you!!! Cracking up right here! We like TV, too. All over it, I love filtered pictures of babies. Keep 'em coming! My kids are just about never wearing clothes. We do have a regular babysitter! She is the best. We also have my parents near by which is awesome. Scour your parish for a willing teenager! This was so great!! The pictures, the kid language, the captions. Hilarious! So great! Especially your family tradition! Ha! But what about question #6?! Why is your hair like that? Ha!! I totally missed it! I have no excuse. But my hair is boring anyway, so maybe it works out. ah sorry didn't mean to double, then triple post! Your homeschooling abilities made me nearly spit my mouthful of water all over my computer laughing. SOOO funny!